I recently had the opportunity to try Footlogix Medical® Intensive Care Moisturizing Mousse. The mousse is lightweight, and not at all sticky or greasy. It really does absorb into the skin quickly and I didn’t feel like I was walking around with a product on my feet, leaving greasy footprints everywhere. I even put my slippers on and didn’t feel the squishing / sliding feeling when walking around. It made a huge difference on my feet. The skin definitely felt softer even after the first application. I have dry peeling skin in between my toes and very ticklish feet. 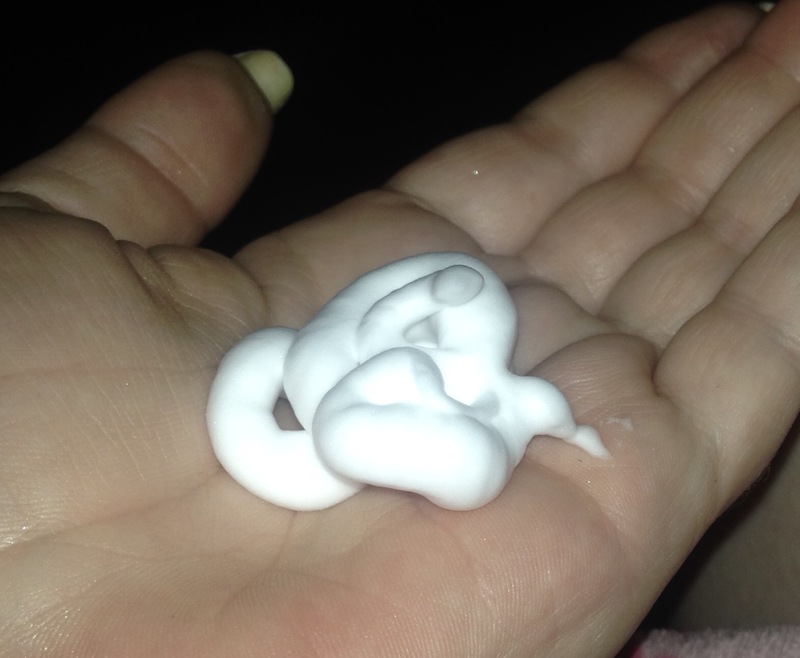 It is usually very difficult for me to get product in those areas but it wasn’t a problem with this Moisturizing Mousse. I would come home from my full-time job, apply the mousse to my feet and was able to start cooking supper or do any chores that needed to be done. I didn’t have to wait around for the product to dry. The Moisturizing Mousse contains Dimethicone, this acts as a skin protectant, Urea (10%) locks in moisture and it is free of perfumes and preservatives. 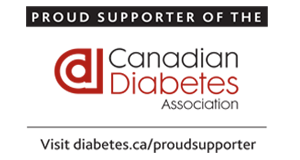 The Footlogix Medical® foot care line was formulated based on research by dermatologists, as well as Diabetes and foot care specialists. This product can be found at Walmart in the pharmacy section for a great price of $19.99(CAD). To find more information on Footlogix Medical®, please visit their website HERE! Right now Footlogix Medical® is having a contest to win a $250 Spa Gift Certificate!! 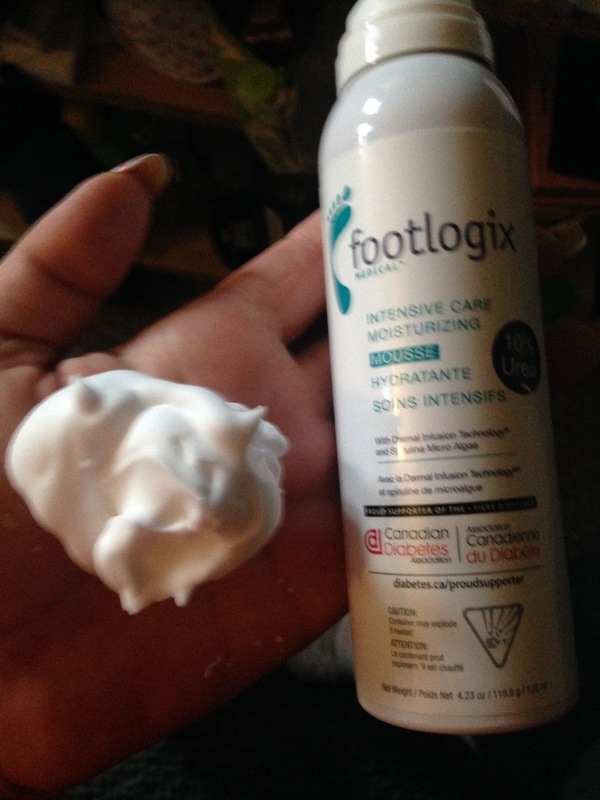 If you or someone you know has dry cracked feet, definitely try Footlogix Medical® Intensive Care Moisturizing Mousse, it is perfect for callused, cracked skin because it repairs damaged skin, protects from infection and leaves skin soft and smooth.